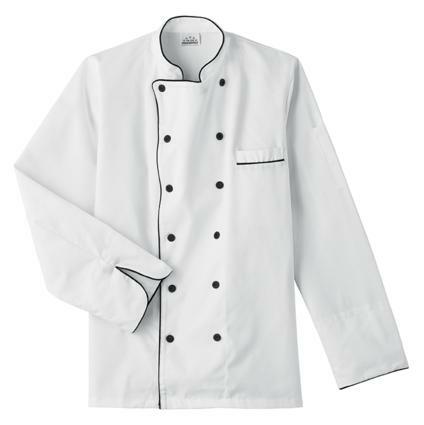 White Five Star Executive Chef Coat. 31" Length. 12 Black Button Closure. Black Piping Trim Around Collar, Front Breast Pocket and Roll Up Cuffs. Split Sleeve Pocket. 65/35 Fine Line Twill. 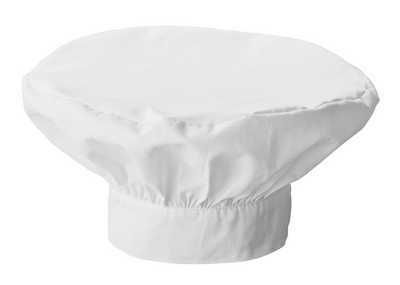 Five Star Executive Chef Coat. 31" Length. 12 Black Button Closure. Black Piping Trim Around Collar, Front Breast Pocket and Roll Up Cuffs. Split Sleeve Pocket. 65/35 Fine Line Twill. Available for order in sizes X-Small through 5 XL. Please call with questions.